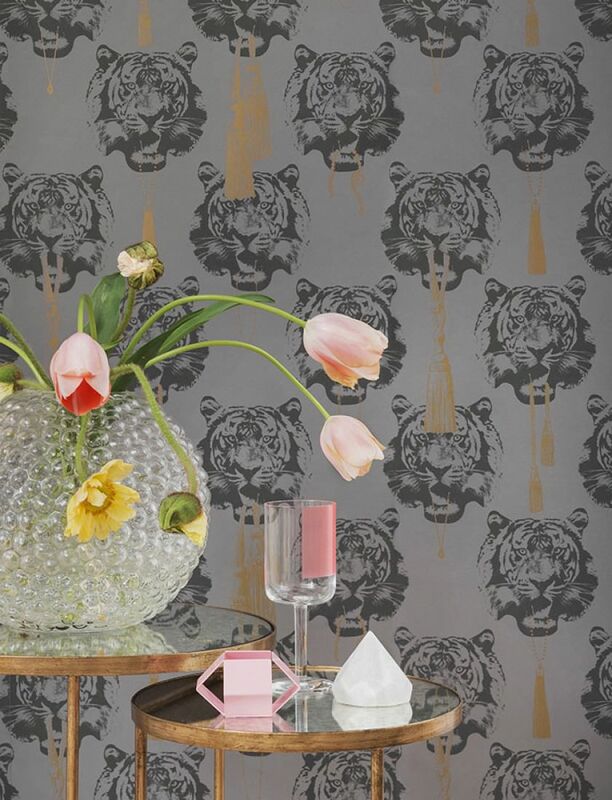 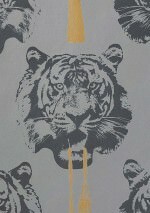 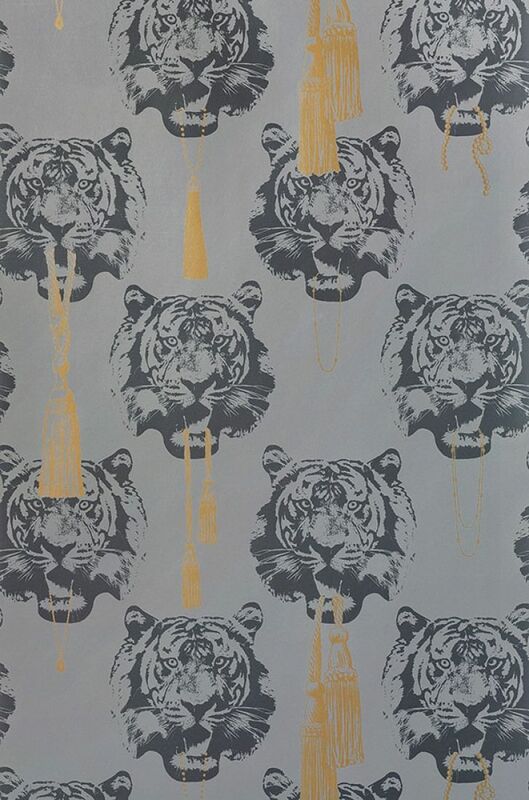 Luxurious jewellery and opulent tassels emerge from the wild tiger's mouth. 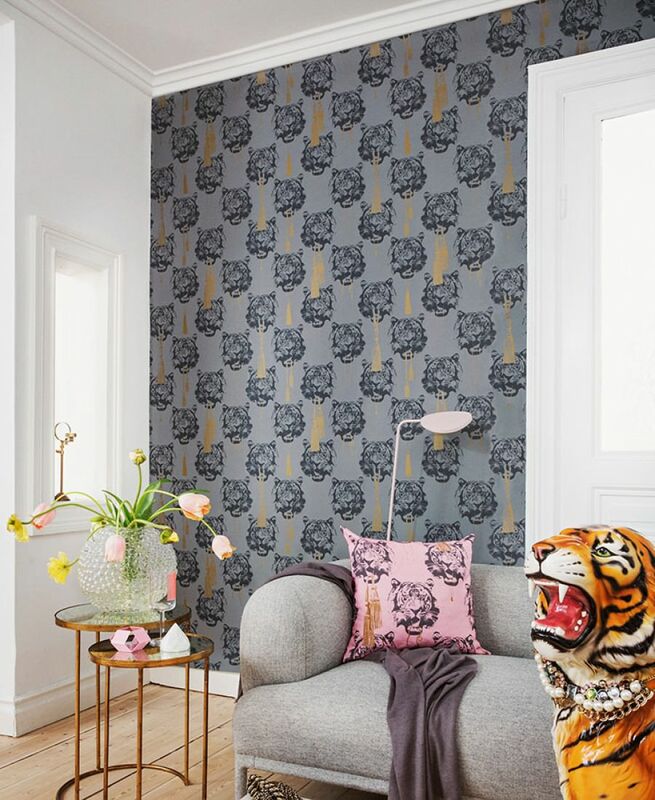 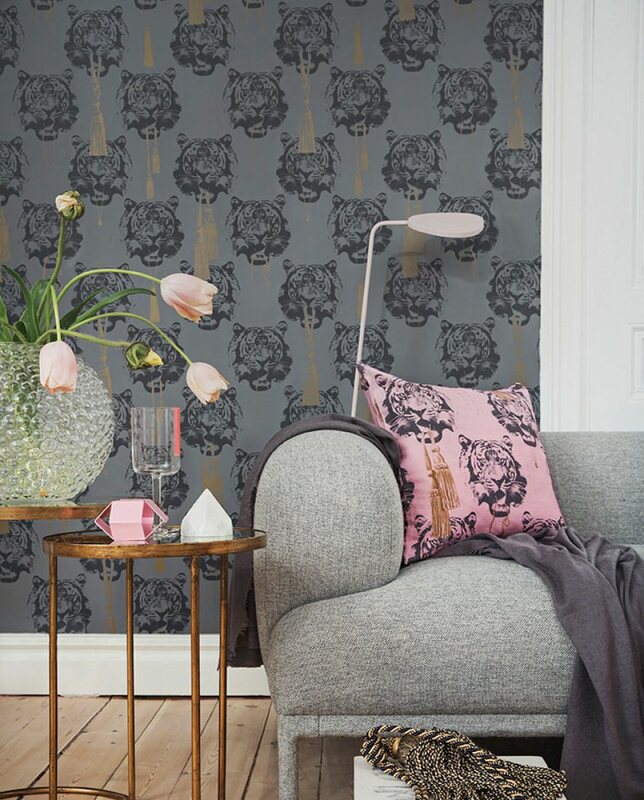 This designer wallpaper combines African and oriental aspects in a very contemporary composition which, added to rooms with matching style components, creates an elegant ambience. 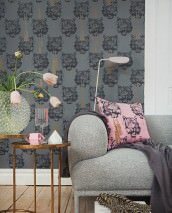 A fabulous example for artist Lisa Bengtsson's fondness for figures and forms.